Editor’s note: This podcast and story originally ran on UF’s Health in a Heartbeat. Click to hear the podcast. We’ve all heard that milk does the body good, especially for growing children who need the calcium to build strong bones. 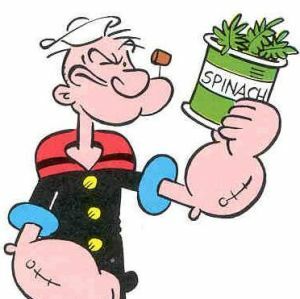 But a new study shows that Popeye may have had the right idea with his spinach habit. Researchers at Baylor College of Medicine in Houston found that foods high in magnesium, such as spinach, may be just as important for bone density in children as calcium. Previously, magnesium was found to be a key nutrient for adult bone health, but the results from this study showed that magnesium is just as important as calcium in a child’s diet as well. So what should parents be sure to pack in their child’s lunchbox to make sure they are getting enough magnesium? In general, the National Institutes of Health says that green vegetables are a good source. The center of the chlorophyll molecule, which gives veggies their green color, contains magnesium. Nuts, seeds and whole grains are also a good idea. However, processed or refined white grains are low in magnesium, so be sure to distinguish between the two when trying to pick out trail mix or granola bars. Kid-friendly foods that contain magnesium also include peanut butter, chocolate pudding, chocolate milk and yogurt. But, greater bone density is not the only benefit of this nutrient. Magnesium also helps maintain normal nerve and muscle functions and keeps the immune system healthy. A magnesium deficiency could cause fatigue and weakness. Researchers say it’s important to make sure your children are getting all of their required nutrients by keeping meals balanced. For example, try substituting their sugar-packed cereals with whole grain varieties. That is just one of the many ways to make sure they’re getting both calcium and magnesium. Meg is epicurious and has a strong passion for cooking healthy meals on a budget. Her passion for food and nutrition stems from a young age with exposure to cuisine from various cultures. Originally from New York, she moved to Tallahassee, Florida to receive a bachelor’s degree in Dietetics at the Florida State University. Upon graduating, She took one step further to become a nutrition blogger in the dietetics field. She is currently a graduate student studying Clinical Nutrition at the Florida State University with the intent of becoming a Registered Dietitian post-grad. She believes that food has a unique ability to bond people from around the world, to create new relationships, and to cement old friendships. She aims to share her nutrition knowledge with others and to encourage healthy lifestyles through fitness and nutrition. 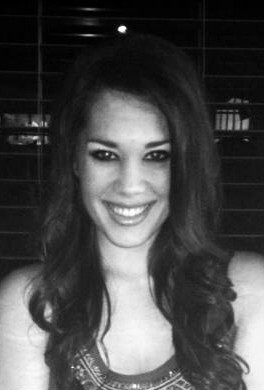 Meg Khan-Karen is a guest blogger for Layman’s Terms Media. Periodically she will post thoughtful articles about leading a healthy lifestyle on a budget. Check out her Facebook page Daily Fit Dish by MegKKFit for nutritious recipes at a reasonable price. Also follow her on Twitter. Diet trends come in waves. One decade we see the rejection of carbohydrates, and we shun animal products the next. Some of you reading this right now may remember the low fat craze of the 90’s–it was then that fat got a bad rep. The reputation has stuck so much that “fat” is now considered an insult. Well, I’m here to tell you that fat is not bad for you. In fact, it’s necessary for our health and our well-being! Let’s start with the basics. We often refer to fat molecules as “triglycerides” because a fat molecule consists of a glycerol “backbone” with three fatty acid chains attached. The fatty acid chains that makes up this fat molecule can either be saturated (meaning it is fully surrounded by hydrogen atoms) or it can be unsaturated meaning there are double bonds between the carbons and it is not fully surrounded by hydrogen atoms. Your body needs these fats to function on a daily basis. Not only do we acquire fat in our diet from plant and animal sources but we also make our own. The importance of fat in the body includes different functions including aiding in vitamin A,D, E, and K, the fat soluble vitamins. Meg Khan-Karen is a guest blogger for Layman’s Terms Media. Periodically she will post thoughtful articles about leading a healthy lifestyle on a budget. Check out her Facebook page Daily Fit Dish by MegKKFit for nutritious recipes at a reasonable price. So how do we know what nutrition advice to subscribe to and what will be most beneficial for our bodies? Well, nutritionists and doctors have been supporting one simple doctrine for years. Though, in spite of the public’s hunt for what they believe is the secret key to being healthy and fit. We search far and wide for that special pill, the magic juice, the newest antidote to help us on our healthy journey, only to come full circle to what we have been taught from day one: practice moderation and eat a variety of wholesome foods. Balance is the real key to living a healthy lifestyle. So, we would rather purchase a bottle of fat burners than get some exercise each day. We seek out products promoted with empty promises of weight loss and a smaller waist line rather than make healthier choices in the market place and in our daily lives. We are fooling ourselves into thinking this is a way of getting healthy. When did we become so confused about something so natural as eating food to become healthier? We no longer visit farmer’s markets and roadside stands with the fresh produce, let alone tend our own gardens with the freshest fruits and vegetables possible. Instead, we flock to processed products with mile-long ingredient lists making the product no longer identifiable as a real, wholesome food. My morning run is just as important as my daily cup of coffee– without it I feel lethargic, inattentive and scatterbrained– and a new study may explain why. Researchers from the University of Granada conducted an experiment consisting of 28 males between the ages of 17 and 29 and found that men who exercise regularly and are considered to be fit individuals, performed better cognitively compared to those who led a sedentary lifestyle. The groups were divided into two. The first group consisted of men who showed a low level of physical fitness–by the American College of Sports Medicine standards. The other group included 11 members of the Andalusian Cycling Federation, along with three students of the Faculty of Physical Activity and Sports Activities of the University of Granada. Needless to say, the second group of men were considered to be physically fit. After conducting a series of three tasks (a psychomotor vigilance task, a temporal orienting task, and a duration discrimination task) the results of the experiment showed that the men in the second group had a better sustained attention span, meaning they could focus on one task for a longer period of time, compared to the first group. The physically-fit men also had faster overall reaction times to external stimuli. 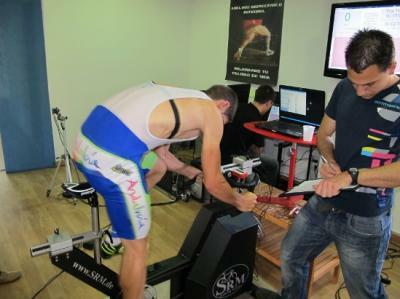 “It is important therefore to highlight that both the physiological and behavioral results obtained through our study suggest that the main benefit resulting from the good physical condition of the cyclists who participated in the study, appeared to be associated with the processes implicated by sustained attention,” Antonio Luque-Casado, the main author of the study, said. Luque-Casado warned that this study is preliminary and further research will have to be done to confirm the results. But, just from personal experience I think these researchers are on the right track: perhaps we’re only scratching the surface of cognitive benefits of leading a healthy lifestyle. Being cynical journalist, a poor-and-starving graduate student as well as a self-proclaimed environmentalist, I have gone back and forth on whether or not I believe that the word ‘organic’ has been condensed down to a mere marketing tactic. A March 17 article by Slate , criticizing the suburbia-praised chain Whole Foods, has increased my skepticism. A study by Cornell University’s Food and Brand Lab researchers found that food items simply carrying the organic label were evaluated as having a more satisfying taste and containing lower calories than the same food item without the organic label. To conduct the study, the researchers recruited 115 people from a shopping center in Ithaca, New York. The consumers, after answering a questionaire about their environmental and shopping habits, were asked to evauluate three pairs of products: one pair of yogurts, one pair of chips and one pair of cookies. Each pair consisted of one of the items being labeled as organic, and one without. The food items were exaclty identical, except for the way they were labeled. In addition to rating the organically-labeled items as tastier and better for the waistline, consumers also reported that they were willing to pay up to 23.4 percent more for them. Of course, this ‘health halo effect’ as the researchers dubbed the phenomenon, was more likely to affect consumers who already were more inclined to purchase organic foods. So–the answer to my question–is the term ‘organic’ merely a marketing scheme? While I do not know that there is a right or wrong answer to this, I do believe that some companies truly do back their labels and are committed to creating pure organic foods, while others may just be trying to attract the environmentally-conscious consumers who typically earn higher incomes and are more willing to spend more on these products. 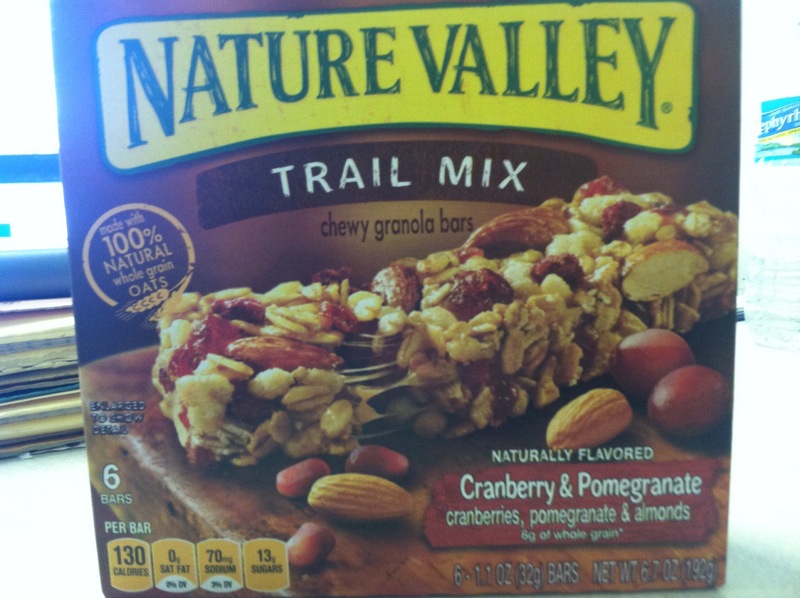 Now excuse me while I contemplate this thought by eating a “100 percent natural” Nature Valley granola bar. Note: the “buy one get one free” label at Publix got my attention before the “100 percent natural” label.